Following a period of heavy rain the river Avon may overspill its banks. 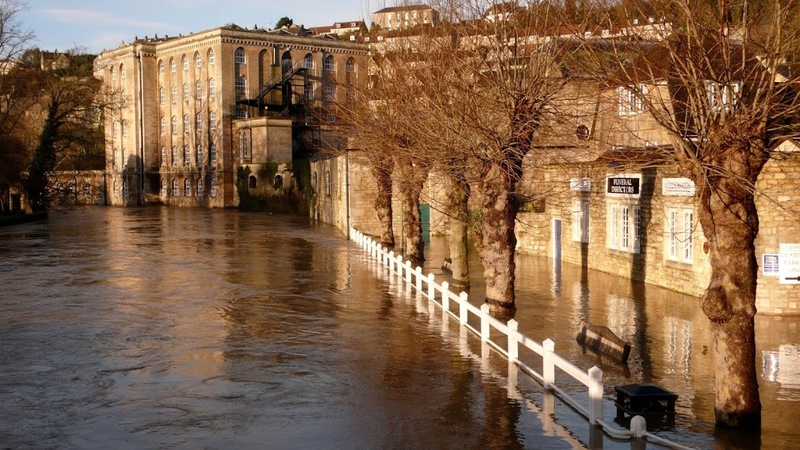 Within the last few years we have experienced serious flooding in the centre of town and localised flooding due to very heavy run-off in areas away from the river where it was not necessarily expected. 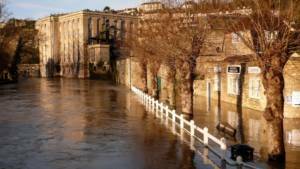 The Environment Agency (EA) monitors rainfall and river levels and issues Flood Alerts and Warnings. The Community Emergency Volunteers (CEVs) work together with the EA and the emergency services to keep people and premises in the town as safe as possible. The EA will initially issue a Flood Alert and may erect the flood barriers near the Town Bridge, which we have seen already this year. CEVs will monitor the river level and keep people in threatened areas informed. The Emergency Services prioritise who they help first in the event of a flood and it may not be you. It therefore makes sense to have your own plans in place to protect your property. Ensure that all valuables are put into waterproof bags and stored at the top of the house. This includes documents and items of sentimental value. Any other items, including furniture that can be carried, should also be taken upstairs. Ensure you have sufficient cold food and water upstairs. There may be no way to heat food after the water has entered your home. Ensure all medication is available to you upstairs. All electrical devices should be switched off and unplugged. When the water is clearly going to get into the house turn off the electricity, gas and water. If you are in the direct path of the flood water, and have been flooded before, the CEVs can provide you with sand bags. Each property will receive ten, which may not suffice, so it is advisable to obtain some for yourself. Gel sacks are the best option as they expand with the water. The CEVs have a limited number ofsandbags so buying your own is the best option. Water does not just flow into your premises from the river. It can also seep up from the ground beneath as it becomes waterlogged. The drains are also likely to overflow and can cause flooding to properties not close to the river. It is a good idea to find out what happened in your area during the last flood so that you can be prepared. Flood water can be polluted from various sources including the sewers. If the water that gets into your home is polluted and excessive you will need to access professional help to assess the risks and pump it out.The Fire Service can give you helpful information. Backflow from the sewers can rise into baths and sinks. Put in plugs and weigh them down. A sandbag can be used in the toilets. It is not advisable to go in and out of the water to collect things you have forgotten. The water will contain pollutants that may make you sick. The CEVs are a group of volunteers who are affiliated to the town council, live in the town and are committed to helping the residents in times of emergency. They also provide support if required after heavy snowfall or if there is a facilities breakdown. We are always looking for new, enthusiastic volunteers. We train once a month and keep in touch by providing marshalling services to the town. You may have seen us in our hi-vis clothing at many of the town’s events. If you wish to know more please contact us by emailing Cllr Jennie Parker HERE or attend one of our training sessions which are on the fourth Thursday of every month at 7.30pm in the Council Chamber at St Margaret’s Hall. All new members are made very welcome.